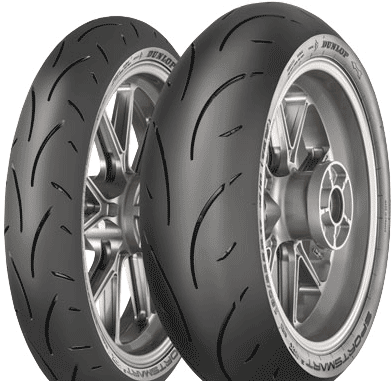 With learnings taken from Endurance racing and the experience gained in developing the revolutionary Roadsmart III, Dunlop have further enhanced their premium hypersport road tyre, with an emphasis on maintaining ultimate street performance. Sporty handling & ultimate maneuverability. Superior feedback at maximum lean angles. Endurance racing inspired Multi-Tread Rear compound for sustained performance. High dispersion Silica provides grip in all conditions.